Best love scene: "The Killer Inside Me" (Michael Winterbottom). Also a harrowing death sentence: "I love you. Goodbye." Real or Not Real? It's all very coy, but who cares? : "Exit Through the Gift Shop," "I'm Still Here," "Catfish," etc., etc., etc. Best dance: (tie) Kim Hye-ja, "Mother"; the sisters in "Dogtooth"
Most accurate subjective depiction of a hallucinogenic experience (complete with lapses of consciousness and situational awareness): "Enter the Void"
Best homage to "Night of the Hunter": The snake-poisoned night ride on Little Blackie: "True Grit." Best film about sociopathy/psychopathy/violence in a very, very crowded field: "The Killer Inside Me." Worst performance as a con artist: Jim Carrey, "I Love You Phillip Morris." Carrey telegraphs the inauthenticity of his every emotion, as he always has. Problem is, that makes him a terrible con man (nobody would believe this guy), although he's supposed to be a good one. Ewan McGregor, however, inhabits his character completely, without commenting on his own performance. Garret Dillahunt Award: Garret Dillahunt, "Winter's Bone." Any movie is immeasurably improved by the presence of Garret Dillahunt in it. Or Harris Yulin. Rebecca Hall Award: Rebecca Hall, "Please Give," "The Town." I'd watch her anywhere, anytime. Best score based on American folk songs/hymns ("Rally 'Round the Flag," "Leaning on the Everlasting Arms"): Carter Burwell, "True Grit"
Best explanation of how music works in movies: Olivier Assayas: "I tried period music, I tried everything, it's just that the film kind of rejected it. I had no idea what kind of music I was going to use, I had no preconception. All my initial choices were wrong, so at one point, I was nowhere and (thought) maybe the film didn't want any music, but still, at some point, I just looked into my music library and just copied like 50 tracks, and thought, 'I will do it via a process of trial and error,' and somehow, luckily, I for some reason I tried this track by the Feelies at the beginning of the film, and all of a sudden it worked. It was like magical. All of a sudden you just have stuff that doesn't work, that seems completely redundant and boring or with the wrong energy and all of a sudden, you have this music that lifts the whole thing up and you're like, 'Wow,' so that was the starting point. Once I had the first Feelies track, I sort of understood the energy the film wanted and needed, so I knew which direction to go, so I started using pop songs, I started using post-punk like Wire even though it was much later." Best sheep (singular): You know the one. "Sweetgrass" In the film's second long take (right before the title), the movie turns around and sees you. A long shot of a herd is followed by a close-up of an intently chewing animal whose every jaw movement clangs the bell around its neck. And then... there's somebody there. 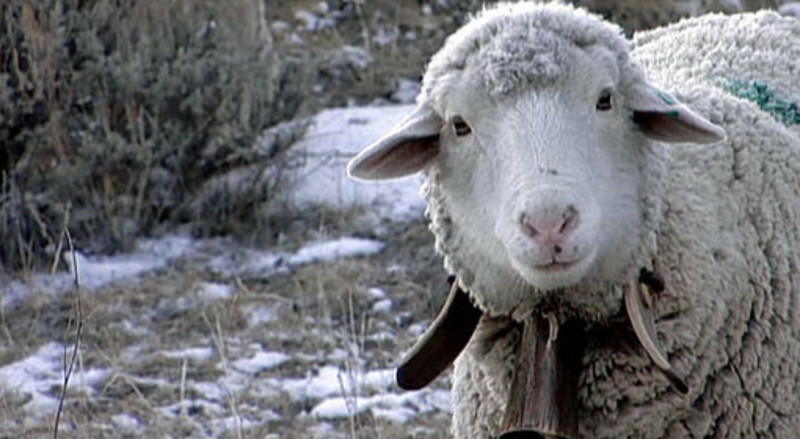 In a movie that's all about the ancient, symbiotic relationships between men and animals, you can never quite look at the sheep the same way from this point onward. Best flora: The blood-red branches of the deciduous foundation-planting shrubs by the front door of former Prime Minister Adam Lang's beachside house in the otherwise desolate grey/brown winter landscape of "The Ghost Writer." Scariest performances: John Hawkes, "Winter's Bone"; Ben Mendelsohn, Jacki Weaver, "Animal Kingdom"; Niels Arestrup, "A Prophet"; President Richard M. Nixon (as himself on White House tapes), "The Most Dangerous Man in America"
Please Make Her Head Explode Award: Natalie Portman, who manages to maintain the same expression on her face (fear, distress, about-to-cry) up until the last few minutes of "Black Swan" (Darren Aronofsky), when her one-note performance finally becomes a one and one-thirty-second-note performance. Basil Exposition Award for explaining everything (at least) three times, even when it doesn't matter: "Inception"